The word propaganda is often used in a negative sense, especially for politicians who make false claims to get elected or spread rumours to instigate regime change [my edit]. In fact, any campaign that is used to persuade can be called propaganda. The FSA is considered the most moderate of factions fighting Bashar al-Assad’s government, but has been increasingly side-lined on the battlefield by more extremist Islamist factions. It has also been riven by leadership disputes. American-led attempts to train up moderates to hold ground against Isil are months behind track because of the difficulty of finding groups which were not linked to the extremists. 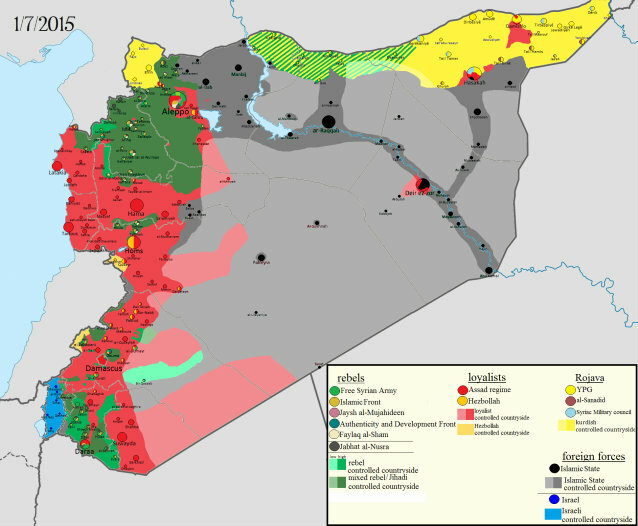 Who are these elusive “moderate rebels”? You may well ask. Traditionally it is the FSA that has been marketed as the cuddly, viable alternative to the Assad government which incidentally is the internationally recognised government of Syria, supported by the majority of the Syrian people. However we don’t have to dig too deep to reveal the hard line Islamist, Salafi affiliations of this so-called moderate group of brigands. 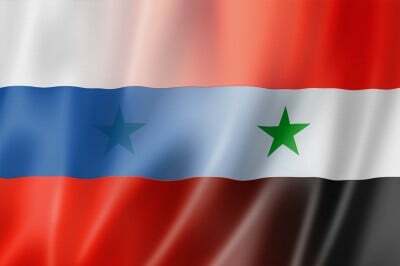 Syria has also seen a number of troubling mass casualty events attributed to Coalition actions. On the first night of bombing on September 23rd 2014, US aircraft killed as many as 15 civilians in the village of Kafar Daryan. On December 28th at least 58 civilians reportedly died when the Coalition struck a temporary Daesh prison at al Bab (see report). 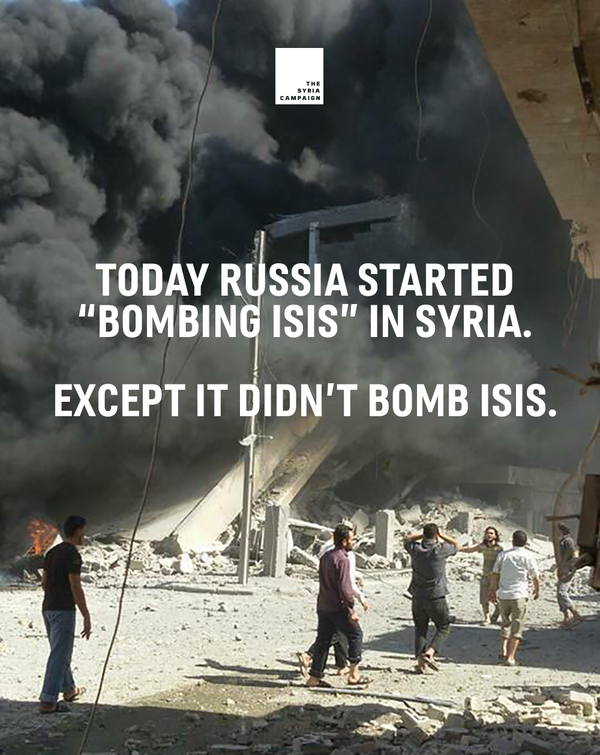 And on April 30th 2015, 64 civilians died in a likely Coalition airstrike at Ber Mahli. In these three incidents alone, 106 non-combatant victims have so far been publicly named – 38 of them children. It remains unclear whether any of these events have been investigated by the Coalition. Now we come to perhaps one of the most insidious and damaging elements of the propaganda machine. The White Helmets, created by Svengali of PR giants, Purpose.com. The White Helmets with the debonair, Sandhurst educated James Bond of humanitarianism at its helm, James Le Mesurier, whose CV reads like a NATO regime change itinerary and whose connections delve deep into the Empire’s underworld of media manipulation and strategy cultivation. Another image was brought to my attention this morning that further shatters the high gloss White Helmet image. 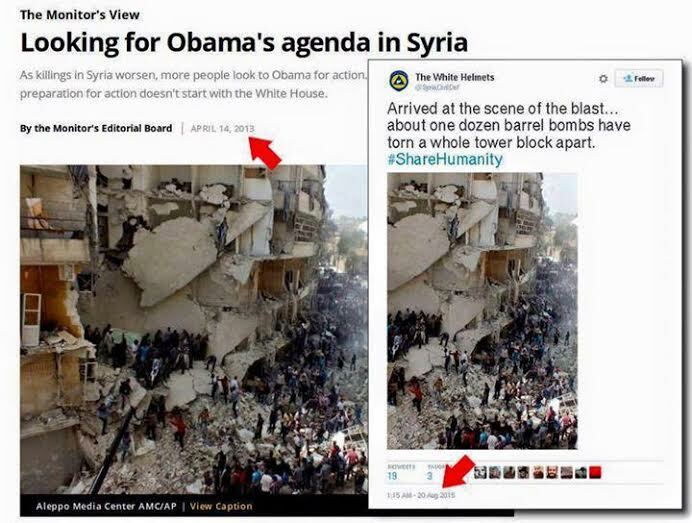 Whilst it is well known that far from being neutral, the White Helmets are in fact embedded with Al Nusra [the Syrian arm of Al Qaeda], it is perhaps not so well known that their southern Damascus depot is situated at the heart of ISIS held territory, to the south of the notorious Palestinian Yarmouk refugee camp. 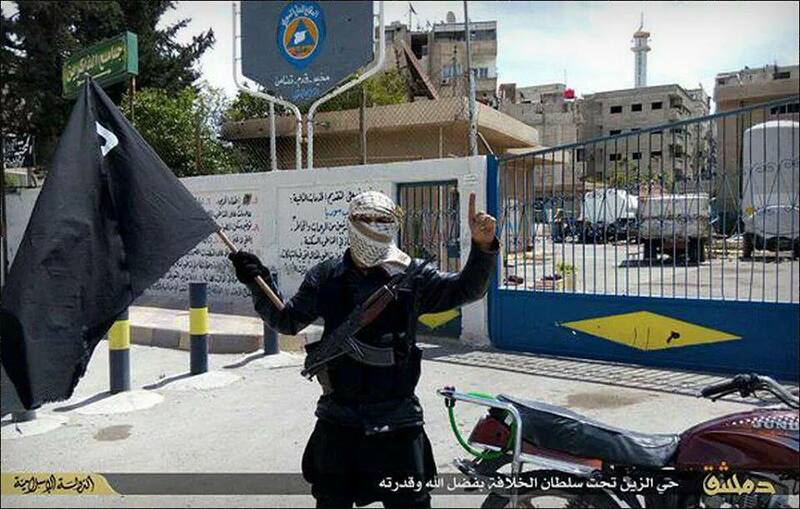 This image shows their insignia and emblem clearly on the wall and gates behind the selfie taking ISIS mercenary in the foreground. It is becoming harder and harder for White Helmets to maintain their veneer of impartiality, a fact that is borne out quite effectively by the fact that the majority of Syrians in government held areas have never heard of them, even unbiased civilians in Aleppo have not come across them. 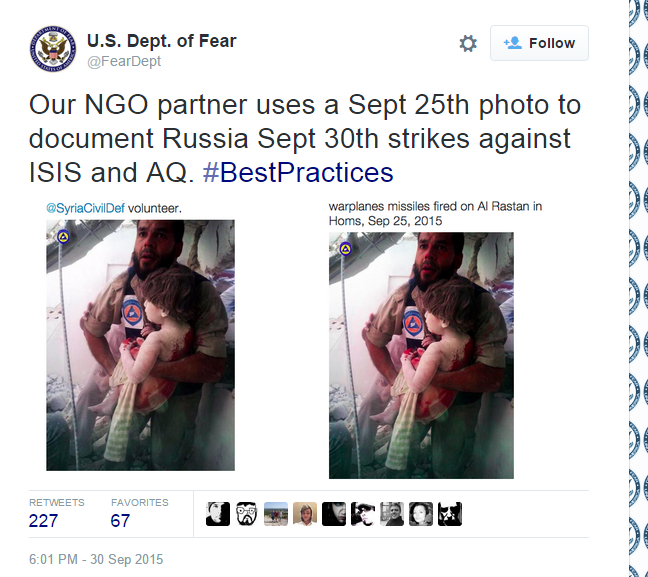 Their association is exclusively with the extremist elements of the Syrian opposition. Their purpose is to facilitate calls for a No Fly Zone, cue Avaaz, and destabilize the region in the manner demanded by their masters in the US, UK and Syrian National Council.